Get the clear-cut facts on this window treatment before tinting your home windows. At war with home windows that are energy-inefficient, weak, or dated? Tinting home windows from the inside with an aftermarket window film is one of the easiest and most economical ways to boost the energy efficiency, safety, even curb appeal of your home without replacing the windows themselves. While most residential window films are lightweight, self-adhesive polyester coverings made of Polyethylene terephthalate (the same polymer used to make plastic water bottles), not all window films are equal or worthy of your investment. Keep reading to learn about the different options—as well as the benefits and pitfalls of tinted home windows—so you can decide whether this window treatment is right for you and how to install it with the best results. 1. Different types of window film provide different benefits. • Solar: This option is recommended if improving energy efficiency is your main reason for tinting home windows. Thicker than decorative film but thinner than security film, solar films absorb or reflect (most products do a combination of both) up to 99 percent of UV rays from the sun. This regulates indoor temperature (so rooms stay cool in summer and warm in winter), reduces glare, prevents the fading of interior furnishings, and, ultimately, increases indoor comfort and energy savings. The film is usually sold in neutral tones ranging from silver to copper. • Security: If staving off storm damage or deterring burglars is your biggest concern, install security film, the thickest of all types of film. Most security films (usually clear or silver) don’t absorb or reflect much heat. In the event of a storm or a home intrusion that results that damages the window, they do prevent the window from shattering completely by restricting the damage to a large crack, in effect allowing your window to hold out longer. • Decorative: As the thinnest of all types of window film, decorative window film absorbs or reflects minimal heat; its primary purpose is to beautify or add privacy to a room. It’s sold as a clear or bold colored film in a variety of etched patterns (such as stripes), stained glass motifs, or opaque frosted designs that keep out peering eyes. 2. Not all types of window film are compatible with all types of window glass. As noted in the section above, different types of window film absorb varying degrees of heat, which some windows are equipped to handle and others…not so much. Most security and decorative films block minimal heat and therefore don’t place much thermal stress on the windows. Unless your manufacturer discourages it, you can usually apply them to all three common types of window glass—annealed (basic flat glass), heat-treated (annealed glass that has been exposed to high temperatures), and insulating (consists of two layers of glass with an intervening layer of air or gas)—with minimal risk of damage to the window glass. When in doubt, check the manufacturer’s literature for your windows to identify a compatible window film. 3. Installing window film could void your window warranty. Many homeowners report window damage to their manufacturer only to find that they invalidated their window manufacturer’s warranty by applying a window film to the glass panes. Indeed, many window manufacturers will not cover defects caused by modifying windows with aftermarket window film because of the potential for certain types of window film to cause damage to certain types of window glass. 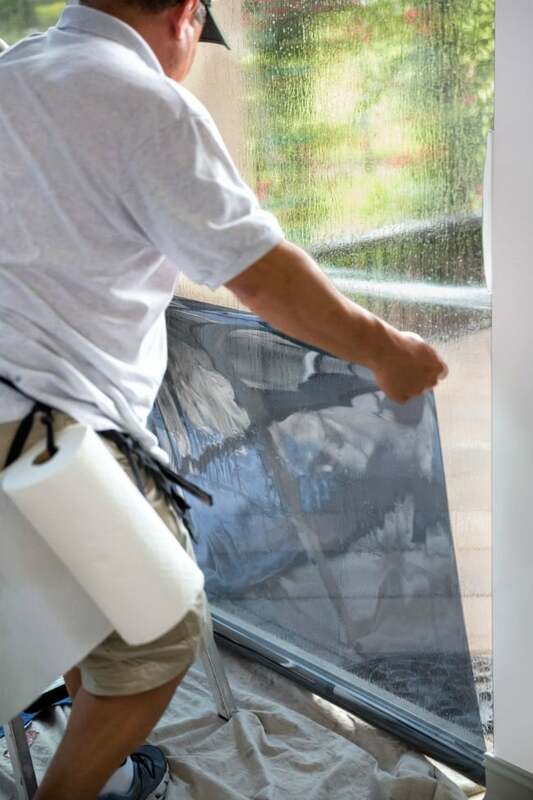 Take heed: You should never begin tinting home windows without first confirming whether or not your window manufacturer’s warranty supports the application of window film. 4. Windows without energy-efficient coatings benefit the most from tinting. 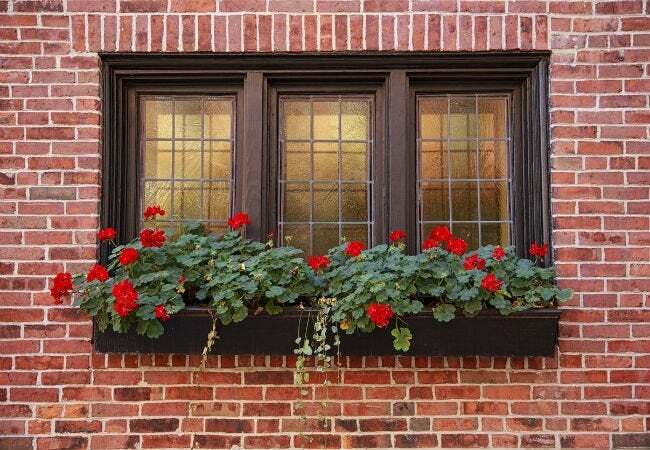 Older windows without low-emissivity (low-E) coatings (a thin layer of metal oxide on the glass) that block out heat stand to gain the most from the energy savings afforded by tinting. Newer windows with low-E coatings already provide homes with a measure of energy efficiency, so your indoor comfort and energy savings may not significantly increase by applying window film to these windows. 5. Tinted home windows are economical. It will run you only $2 to $4 per square foot to buy an aftermarket window film from a home improvement center and install it yourself on your home windows, and $5 to $8 per square foot for a professional installation, according to cost guides on ImproveNet, a home improvement planning website. That would amount to as little as $27 to $54 for a do-it-yourself tint job of a single window pane measuring 3’8” by 3’8”! By these calculations, window film is generally cheaper than other popular window treatments that block the sun; solar screens (fabric shades that absorb and/or reflect heat) go for an average of $40 to $280 per window for DIY installs, and cellular shades (fabric coverings that trap heat in honeycomb-shaped cells) will typically run you $45 to $220 per window for similar DIY setups. 6. It’s easy to install yourself. Installing window film yourself is a task any homeowner do. Before tinting home windows, wipe them down using a lint-free soft cloth wet with a solution of one teaspoon no-tears baby shampoo and one gallon of bottled water. Then, cut an aftermarket window film with a utility knife so that it’s ½-inch longer and wider than the window pane you’re planning to tint. Finally, remove the adhesive backing from the film and gradually adhering it to the window pane from the top down. As you adhere the film, lightly mist the surface of the film with the leftover baby shampoo solution and glide a plastic squeegee or credit card in one direction across the surface to remove any trapped air bubbles in the film. Let the film cure according to the manufacturer’s instructions—which usually takes anywhere from four to eight days. The potential pitfalls of DIY window tinting—such as dirt or streaks of cleaner appearing beneath the film, scratches on the film from cuts made, or bubbles and wrinkles—are all reasons why some homeowners opt for a professional installation to ensure a more polished, pristine finish. But a meticulous DIY window film installation can yield similarly high-quality results. Decorative film is more often sold as a temporary tinting solution, which makes it an option for renters or commitment-phobic homeowners, whereas solar and security film more often tend to be semi-permanent or permanent tinting options, which make them more suitable for homeowners.